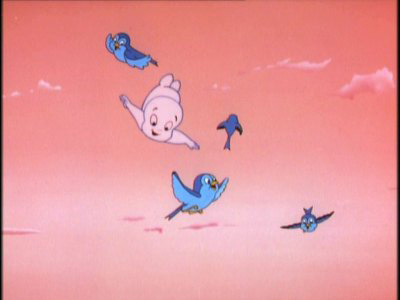 Also known as "The Spooktacular New Adventures of Casper," this show was based off of the 1995 liveaction Universal Pictures movie "Casper" starring Christina Ricci and Bill Pullman. Please note that this guide is not for the classic Casper cartoons. 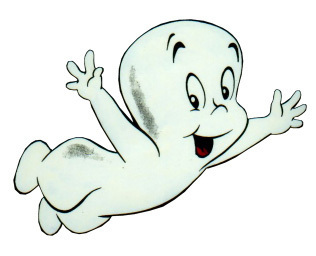 Casper has been updated for the 90's, from his character design to his attitude. 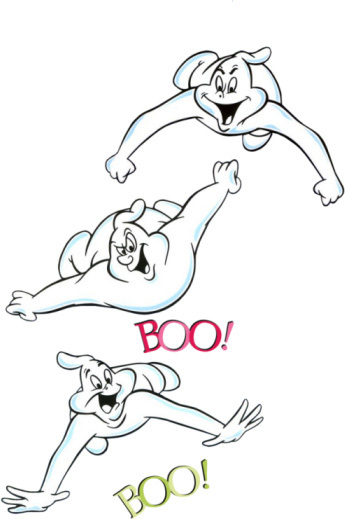 Here, the classic Ghostly Trio (Fatso, Lazo, and Fusso) have been revamped into Casper's uncles Stretch, Stinkie, and Fatso. Also present inhabiting Whipstaff Manor are parapsychologist Dr. James Harvey and his daughter Kat. Returning from the classic comics and cartoons are troublemaking, bowler-hat-sporting Spooky and his bubbly blonde "goilfriend" Poil. The show played on FOX and FOX Family Channel and ran from 1996 to 1998. 46 Jack and the Scream Stalk/Boo Bash a Bone Bag/Artistic? That's a Stretch! 36 Booparty/Do You Like Me?/MacDeath!